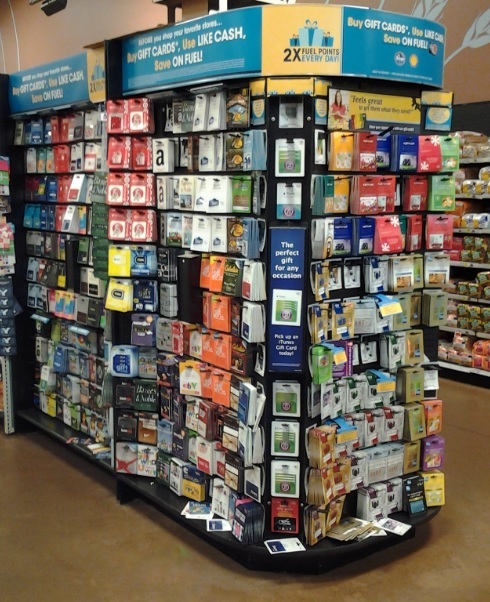 There is one rocking cool display of ‘gift cards’ where we shop for groceries. 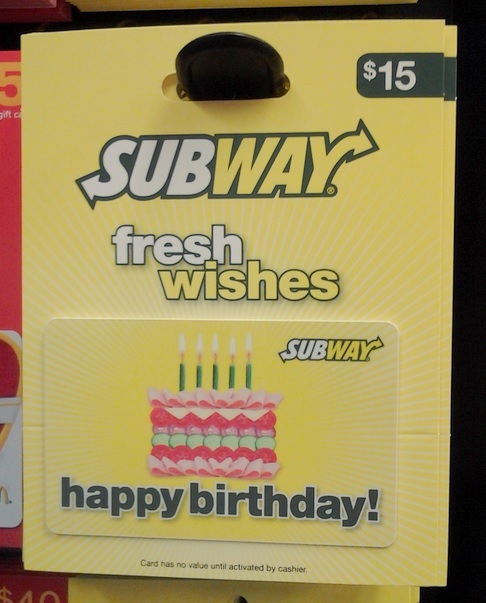 Being one that others may say is difficult to shop for; I am a fan of gift cards. A gift card shows that you did put in some effort and a well considered choice should reduce the fear of being ‘re-gifted’. Anyway, as I was zipping by this display, one card in particular caught my eye and I could not help to ponder. Granted, the following is not based on anything objective but comes from my own personal conclusion. Of the dozens and dozens of cards available at said display, I cannot help but to wonder if we were line them up and found a way to rank each on how much they moved the ‘enthusiasm meter’ as a result of the reaction of the recipient, I have to believe the good ole $15.00 Subway Birthday Gift Card has to be in the lower half of the rankings.